Not all of Sudan’s 6000-year history is stored away in books. 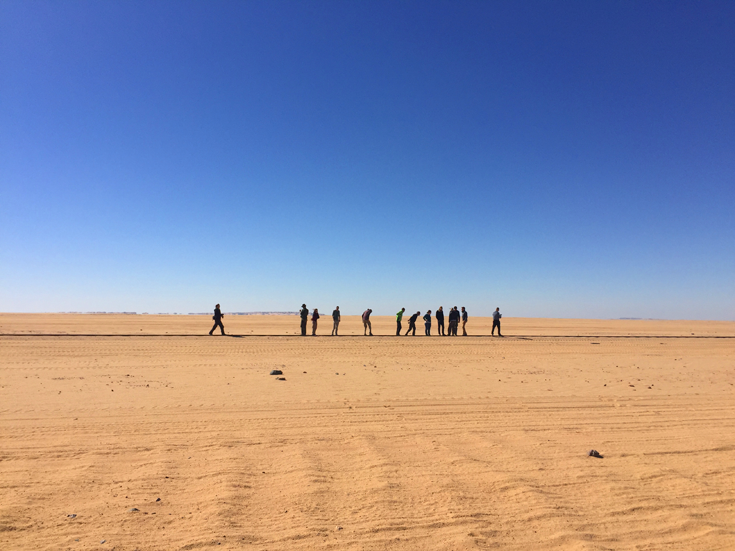 LMU students camped in the desert and searched for traces of that history – returning with indelible impressions of a huge land that is largely ignored by Western media. Baskets full of spices and dates, carefully stacked pyramids of fruits and vegetables, clothes-racks hung with textiles dyed in all conceivable shades. And as Johannes Rützel and his fellow students stroll through the market, they are greeted from every side with cries of ‘Hello!’, ‘Welcome!’ Naturally, the visitors attract a great deal of attention in this traditional souk in Sudan. The locals are interested in these young Europeans, invite them to tea, try to converse with them, in Arabic, in English, or by resorting to expressive gestures. 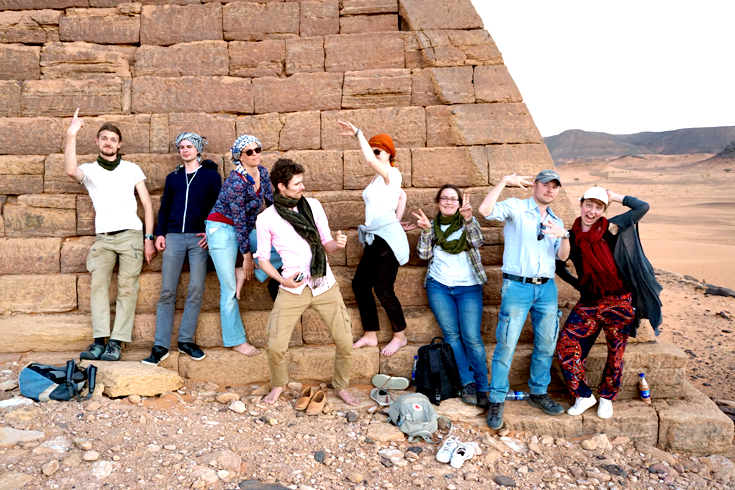 Fifteen LMU students, together with three professors – Martin Geyer, Julia Budka and Humboldt Professor Karen Radner – had made the trip to Sudan. “The thing that struck me most was the overwhelming hospitality of the Sudanese, although most of them have little enough for themselves,” Johannes says. 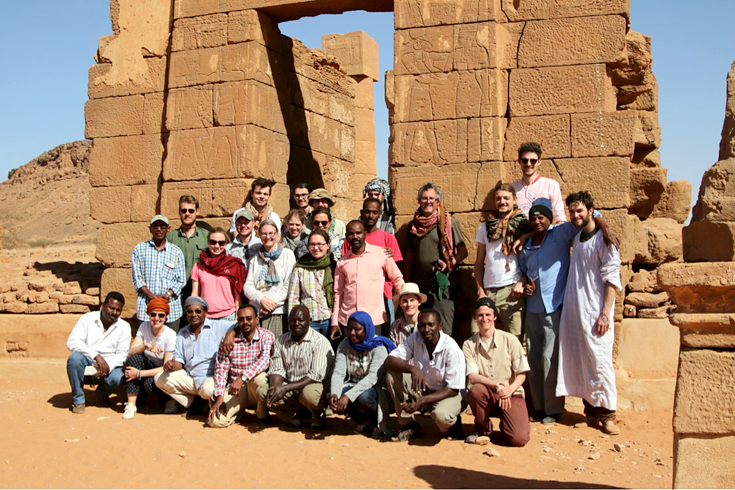 The journey was the first ‘expedition’ jointly organized by the School of History and the Egyptological Institute. “Historians like me generally pay too little attention to Africa – so a joint venture with Julia Budka, who is regularly involved in archaeological excavations in Sudan, seemed like a good idea,” says Radner. The idea was then developed in the context of ‘deep history’, which focuses on not just a defined period but attempts to survey the whole history of a region, beginning with the earliest traces of human ecology. In the case of the Sudan, the timespan chosen encompassed six millennia. 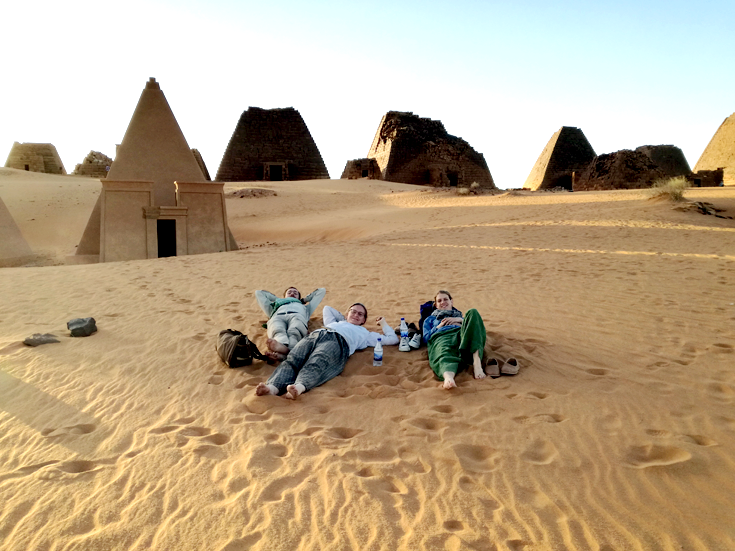 Having devoted spent two whole semesters to studying the region’s history, the students and their mentors set off to experience what the Sudan is like today. In particular, they had focused on Sudan’s colonial history, the impact of the Nile on the country’s cultures and the influence of its diverse religious traditions. Leaving the colorful souk behind them, they set off into the desert to explore its cultural riches – such as the temples and the pyramids (the pyramids in Sudan have a markedly sharper profile than their counterparts in Egypt). But more recent constructions were also inspected, such as the railway across the Sahara built for military purposes by the British in the late 19th century. “Actually being there gives one a new perspective on what one has read at home,” Radner remarks. 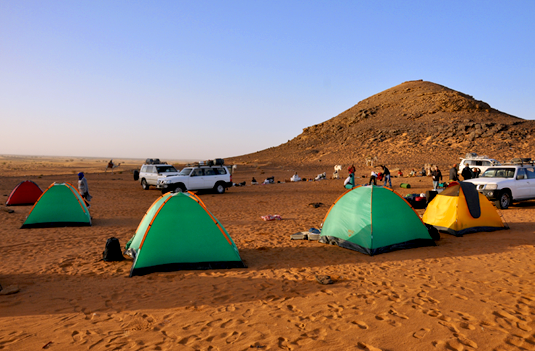 To experience the vastness of the Sahara, see what living conditions are like, and work out on site how the buildings were constructed – all this adds a new dimension to the historians’ narratives. 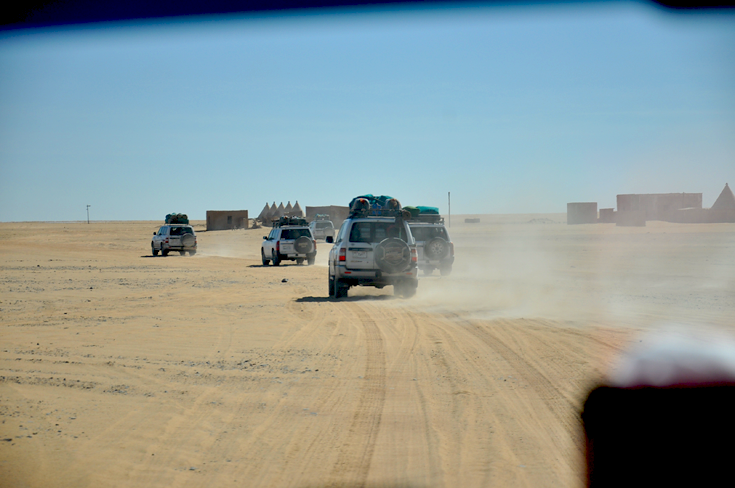 In six off-road vehicles laden with camping equipment, the intrepid explorers covered a distance of some 3000 km in what is Africa’s largest country. Radner admits that she had her doubts about the students’ tolerance for the exigencies of life in the desert. “In the beginning, I thought that some of the students – especially the younger ones – might freak out when confronted with rice and mango. But it wasn’t like that at all. To everyone’s surprise, they even had games with them.” So beside the campfire in the evening, Bachelor’s students, PhD students and professors played Werewolf. – Most of the time, mobile phones could not pick up any signal. History hasn‘t come to a halt in the Sudan, but it has of course shaped what is happening there today. The effects of climate change, displacement and emigration are very much in evidence: Johannes remembers a farmer who now has to fight even harder to save his crops, as climate changes exposes them to the attacks of novel pests, and he tells of migrants who had hoped to reach Europe, but are now stranded in the Sudan. – As the result of an agreement with the EU, they are no longer allowed to cross the border Egypt. “A border town full of migrants, and adventurers on the lookout for the main chance, is unknown in Europe,” Johannes says. On the ground, the difficult economic and political situation is all too evident: flour is scarce, and long queues at gas stations testify to an oil crisis – conditions that are seldom featured in European media.